Everyone needs to go for a walk — if only to clear their minds and get their circulation going. Reese Witherspoon walked 1,610 kilometers on the Pacific Crest Trail in “Wild” because her character (real-life author Cheryl Strayed) needed to clean her head of the mess that had become her life. 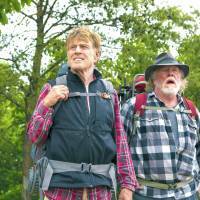 In “A Walk in the Woods,” Robert Redford and Nick Nolte take on the 3,380-km-plus Appalachian Trail for more casual reasons, namely to embark on one last adventure before, you know, they kick the bucket. Like “Wild,” “A Walk in the Woods” is based on an autobiographical account, this time Bill Bryson’s 1998 best-seller that remains a must-read among American environmentalist hipsters. It’s a splendid piece of writing triggered by a massive case of wanderlust, strewn with liberal doses of hilarity. Iowa-born Bryson returned to the U.S. in his 40s, after working as a writer in the U.K. for many years, and initially he was enthralled to be back in convenient, consumer-driven America. But after a while, he felt an itch to travel, coupled with a desperate need to lose weight. The Appalachian Trail seemed to offer the solution — what could be better than going on a long, long hike? At the time, Bryson was 40-something and desperate to lose weight. When he announced to his family that he would go shopping for camping gear at the store where his teenage son was working part-time, he was given strict orders by his son to keep his embarrassing belly bulge well covered. 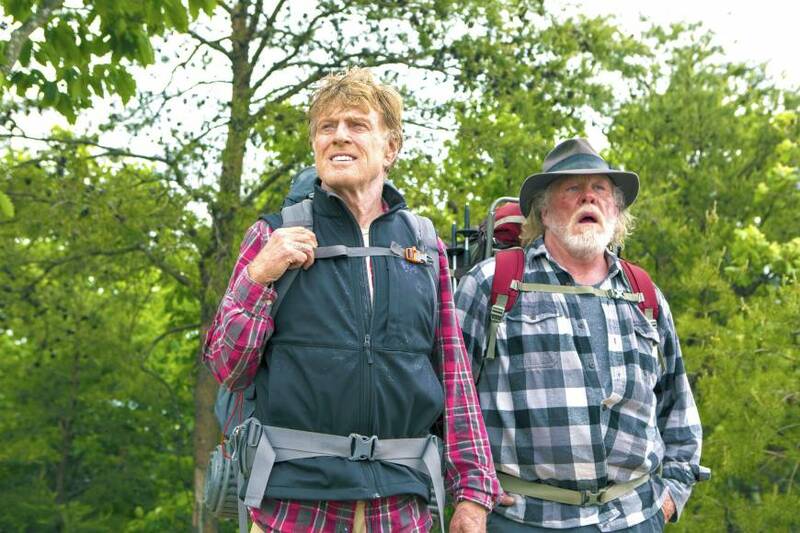 In the movie, 78-year-old Robert Redford plays Bryson — aging the writer by more than three decades. There are no bulges here, just Redford and his amazing blonde hair rippling in the breeze as he makes the trek. He looks as if he could sprint the whole way and back, smiling the whole time with those perfect teeth. Nolte, on the other hand, is a different kind of gentleman. He plays Steven Katz, based on Bryson’s real high school pal Matt Angerer. They had toured Europe together in their senior year but drifted apart and in the movie, when Bryson decides to do this thing, the unemployed, unfettered Katz is the only one willing to come along. If Paul Newman, Redford’s original choice for the role of Katz, had been around, this could have been the stunning sequel to “Butch Cassidy and the Sundance Kid.” By casting Nolte and focusing (perhaps overly so) on the obvious differences in the two mens’ social status, looks and income, it’s as if director Ken Kwapis cared more about the social inequality issue than the adventure/friendship narrative. And that’s a bummer. Bryson’s book is an amusing tale of two clueless guys rekindling a relationship while attempting a trail for experienced hikers. The movie should have left it at that.